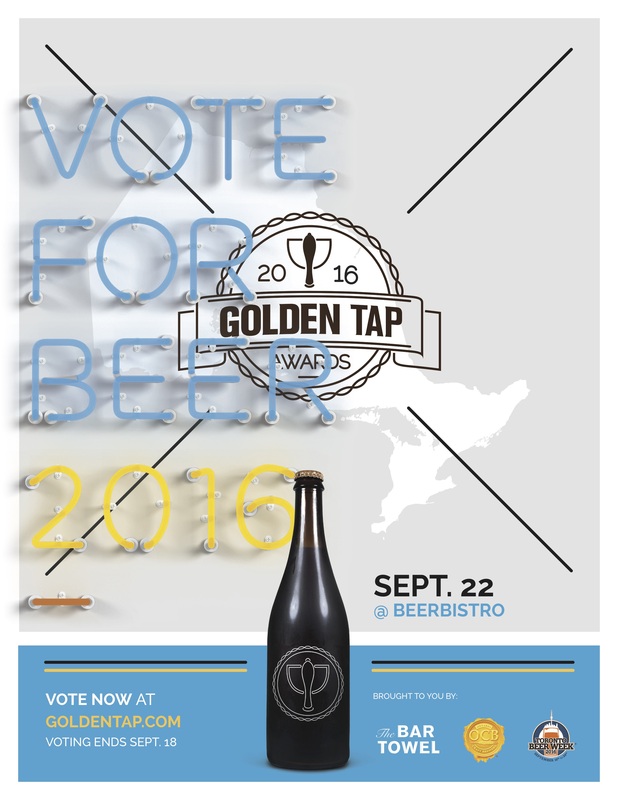 The Golden Tap Awards, Ontario’s most democratic beer awards event, has launched its voting for 2016. Now in its fourteenth year, the Golden Tap Awards recognize the best in beer and cider in Ontario, across breweries, beers, brewpubs, cideries, bars and more. All voting is determined by the beer loving general public. The Awards event will feature an all-Ontario craft beer festival, with all of beerbistro’s tap lines and a bottle station exclusively serving Ontario beers. Admission to the Golden Tap Awards is free and no tickets are required. Please vote for your favourites now and we hope to see you at the awards ceremony!